DETROIT — Ron Gardenhire didn’t mind getting a beer shower from his players Wednesday night. While Gardenhire didn’t realize he had just won his 1,100th game as a manager, someone — he suspects bench coach Steve Liddle — tipped off James McCann. McCann rounded up his teammates and raided the cooler. 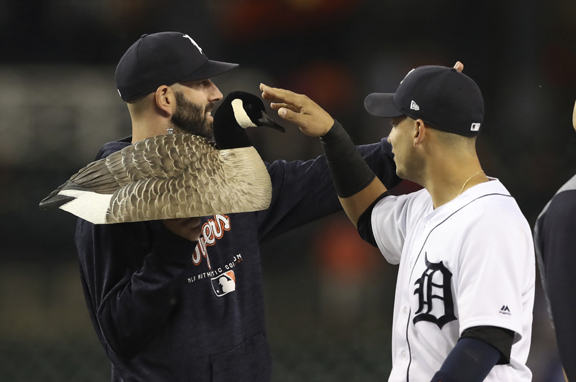 “I have this big D on my chest now, and it was the Tigers who won this one, but an awful lot of them came with the team on the other side of the diamond tonight,” he said.